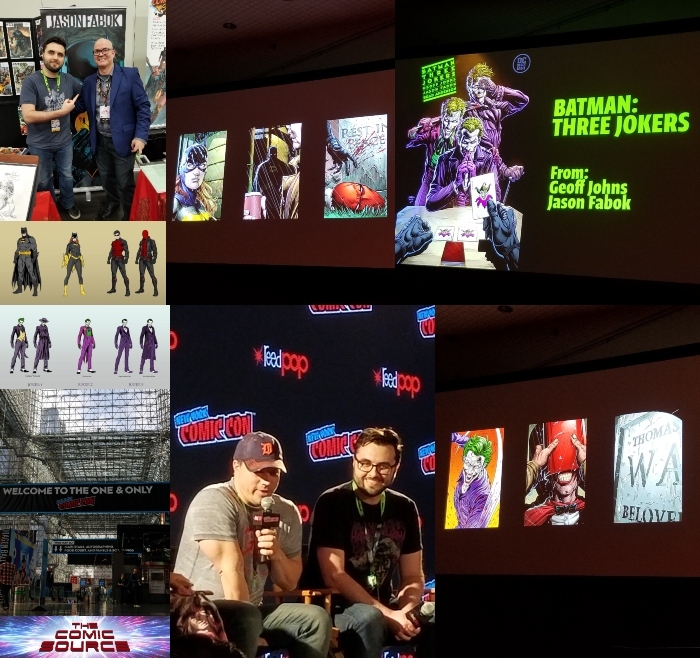 Jace chats with artist Jason Fabok about his work in general as well as his highly anticipated project with Geoff Johns, The Three Jokers! History with comics grow-up reading them? You are currently working on the Three Jokers with Geoff Johns, how has that been going? What’s your work process like for the series? Is the Joker a character you really enjoy working on or is there another Bat villain who is your favorite? You’ve worked on some big events over your career and recently with cover work for Dark Knights Metal and Brian Michael Bendis’s Man of Steel. Do you prefer these high-profile projects or is there still a desire to get into a long monthly run on something? You probably can’t tell us what it is, but do you know what your next project will be after 3 Jokers? I really admire how much care and detail you put into every page, every panel, every character. One of the biggest Batman fans I know says his favorite piece you have ever done is Detective #25 Commissioner Gordon cover. What’s your approach when drawing non-super powered characters? Is there anything else you want to share with our listeners?